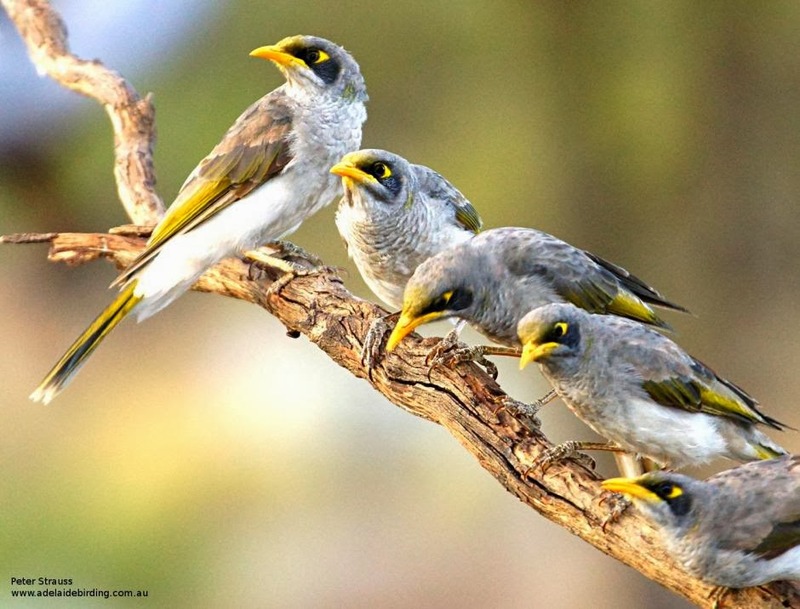 Yellow-throated miners Manorina flavigula, photographed by Peter Strauss. 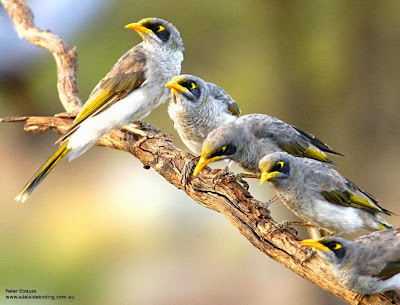 Manorina, the miners, is a genus of stocky, mostly insectivorous birds found in Australia. Members of the genus have broad rounded wings, a yellow to red triangular patch of bare skin behind the eye, and yellow, slightly downcurved bills.